As Indian medical visas granted to Pakistani patients regularly make headlines in India, it is hard not to conclude that it's all part of a PR campaign by the Hindu Nationalist Modi government in India. What is often left out of the media stories is the minor detail that Pakistanis pay more to use services of for-profit Indian hospitals than do people of other nationalities for such "humanitarian gestures". 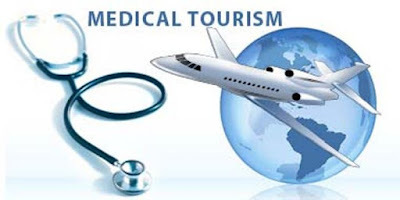 Pakistan is an important and lucrative source of medical tourism dollars in India. The kind of facilities Pakistanis pay to use in India are not accessible to poor Indian masses who must rely on India's decrepit public health system. A 2017 report by Indian ministry of commerce and industry says an average Pakistani spends Rs 187,000 on treatment in India. Those from Bangladesh spend Rs 134,000 on an average, followed by those from Commonwealth countries (Rs 125,000), Russia (Rs 104,000) and Iraq (Rs 98,554). Times of India quoted Manish Chandra of Vaidam medical travel agency as saying: "This is because Pakistani patients mostly come for organ transplants and heart surgeries for children that are costly." In 2015-16, he said, nearly 166 Pakistanis received treatment in India every month. Top Delhi hospitals, which are frequented by foreign nationals, confirmed this. Most of the Pakistani patients suffering from liver and heart ailments go to major for-profit hospitals in Delhi, Mumbai, Chennai and other cities, according to TOI. The number of Pakistani patients, however, has seen a sharp drop since February this year when the Indian government decided to stop granting medical visas to retaliate after Pakistan handed out a death sentence to Indian spy Kulbhushan Jadhav. In other words, humanitarian concerns take a back seat to Modi government's policies to assert India's dominance in the region. The Times of India sums up the situation as follows: India's imposition of restrictions on the issue of medical visas to Pakistanis has not just affected hundreds of patients from across the border but also dealt a body blow to medical tourism in India. The highest average earnings per patient through export of health services from India comes from Pakistan at $2,906. Pakistan is followed by Bangladesh ($2,084), CIS (Commonwealth of Independent States) countries ($1,950), Russia ($1,618) and Iraq ($1,530), according to a first of its kind survey on export of health services by Directorate General of Commercial Intelligence and Statistics, under the commerce ministry. This means a patient from Pakistan visiting a hospital in India spends more than people from any other country, boosting India’s foreign exchange reserves. However, the number of medical visas issued to Pakistani patients in 2015-16 stood at a measly 1,921 compared to 58,360 to patients from Bangladesh and 29,492 to patients from Afghanistan. Due to the low number of medical visas issued, Pakistan contributed only $6 million to India’s services exports compared to $343 million by Bangladesh in 2015-16. India has emerged as a top-notch destination for medical value travel because of its world-class healthcare facilities and affordable price. India aims to significantly promote medical tourism and has recently liberalized its e-visa system for most of the countries except Pakistan. In the health tourism portal maintained by the services export promotion council as a one-stop for overseas patients, there is no specific information on how patients from Pakistan can obtain a medical visa. The same information is available for patients from 16 countries, including Bangladesh and Afghanistan. The tension between the two South Asian neighbours has risen after a Pakistan military court handed a death sentence to captured Indian national Kulbhushan Yadav who Pakistan alleges is an Indian spy. India has denied the charge and has repeatedly asked for consular access to Yadav that Pakistan has refused time and again. There are reports that India may further restrict visas to Pakistani nationals, though another report claims visas will be issued to Pakistan nationals only on medical ground. Pakistani nationals can get visitor visa of six months to meet relatives or friends or any other legitimate purpose and the duration of stay in India at a time shall not exceed three months. “However, senior citizens (above 65 years of age) or a Pakistan national married to an Indian and their children below 12 years of age accompanying parents may be granted two years visit visa with multiple entries subject to certain conditions,” minister of state in the ministry of home affairs Kiren Rijiju said in response to a question in Rajya Sabha earlier this month. When I was doing my residency we had a few genetic disorders from Pakistan and these are very difficult cases. There is high prevelance of consanguinity (intra-family) marriages in Pakistan. SP: "There is high prevelance of consanguinity (intra-family) marriages in Pakistan"
It's true of larges parts of South Asia, including India. Along with David Reich, a geneticist at Harvard Medical School, Dr. Thangaraj led an effort to analyze data from more than 2,800 individuals belonging to more than 260 distinct South Asian groups organized around caste, geography, family ties, language, religion and other factors. Of these, 81 groups had losses of genetic variation more extreme than those found in Ashkenazi Jews and Finns, groups with high rates of recessive disease because of genetic isolation. Marriage within a limited group, or endogamy, has created millions of people who are susceptible to recessive diseases, which develop only when a child inherits a disease-carrying gene from both parents, said Kumarasamy Thangaraj, an author of the study and a senior scientist at the Center for Cellular and Molecular Biology in Hyderabad. Today, South Asia consists of around 5,000 anthropologically well-defined groups. Over 15 years, the researchers collected DNA from people belonging to a broad swath of these groups, resulting in a rich set of genetic data that pushes beyond the field’s focus on individuals of European ancestry, Dr. Reich said. The strongest of these founder groups most likely started with major genetic contributions from just 100 people or fewer. Today, 14 groups with these genetic profiles in South Asia have estimated census sizes of over one million. These include the Gujjar, from Jammu and Kashmir; the Baniyas, from Uttar Pradesh; and the Pattapu Kapu, from Andhra Pradesh. All of these groups have estimated founder effects about 10 times as strong as those of Finns and Ashkenazi Jews, which suggests the South Asian groups have “just as many, or more, recessive diseases,” said Dr. Reich, who is of Ashkenazi Jewish heritage himself. Why do Pakistanis travel to India for medical treatment? Why don;t they build facilities at home? Rahul: "Why do Pakistanis travel to India for medical treatment? Why don;t they build facilities at home?" Why do so many Indians travel abroad for medical treatment? Why did Sonia Gandhi go overseas for treatment in March 2017? Why do Indians import almost all of their surgical instruments from Pakistan? Why do Indians depend heavily on Chinese imports for almost everything? Why don't they do it all themselves? Or for that matter, why do nations trade? Why does't each nation make everything and provide all services within the country? Surely, a nation as large as India with over a billion strong consumer market should be able to do that? Why does US depend so heavily on Chinese imports? Even for critical parts of their advanced fighter jets and other defense equipment? Surely, a nation as advanced as US should do it all themselves. India imports almost all surgical equipment from Pakistan..ROFL..got any proof? "This is because Pakistani patients mostly come for organ transplants and heart surgeries for children that are costly." Unlike other countries where even the more basic procedures and medical treatments are unavailable, Pakistanis only come for more complicated procedures that are not available in Pakistan. So fewer of them come and each spends more. Anon: "India imports almost all surgical equipment from Pakistan..ROFL..got any proof?" Call it a case of surgical strikes with a difference. It involves Pakistan and cross-border targets, but in this case India is continually at the receiving end, and happily so. Suppliers in India eagerly await the next consignments of surgical instruments from across the border, where a pre-Partition industry set up in what is now Pakistan's Punjab province continues to produce more competitive surgical instruments. The worsening of political ties between the two countries notwithstanding, India imports scissors, forceps and other surgical instruments such as needle holders and retractors from Pakistan, not only for domestic use but also for export to Afri can countries, among others. Indian artisans sought to compete with their Pakistani counterparts but eventually gave up, suppliers told ET. "These instruments are manufactured with the aid of hammer forging, a technique available in Pakistan," said Vipin Yadav, owner of Leo Manufacturer Manufacturers. "Setting up an industry having this technique will entail substantial cost, which we won't be able to bear without government support. While we manufacture 50 pieces a day, Pakistan, with the help of hammer forging, produces 5,000 pieces a day. And at a much cheaper price." Sialkot is the global centre of surgical instrument manufacture – around 80 per cent of the world’s supplies are made here, and then shipped abroad. The umbrella term “surgical instruments” summarises the specific and mostly hand-held instruments used during an operation or a surgery (e.g. scalpels, clamps and forceps). Worldwide these instruments are mainly produced in two traditional clusters – in Sialkot, Pakistan and in Tuttlingen, Germany. Together, these clusters supply up to 75 % of the world demand of traditional hand-held stainless steel surgical instruments . As Figure 1 illustrates, not all of the instruments made in Pakistan are directly sold to the end customer. Instead, many of the Pakistani instruments are first transported to Germany where they often get final finishing and quality control . "Sialkot is the global centre of surgical instrument manufacture – around 80 per cent of the world’s supplies are made here, and then shipped abroad." And yet it hardly earns any forex for Pak , so that Pak stops begging every year to take care of balance of payment. Can you be proud of something really worth to be proud of ? TD: "And based on this article in https://www.dawn.com/news/1279191 it seems Pakistan's share of surgical equipment is 2%. Also what is this"
AS is your habit of trolling and spamming, you claim in above comments posted on Viewpoint From Overseas Youtube channel that Pakistan has only 2% marketshare of surgical instruments. Your poor education shows through your comments like this one. Pakistan makes 75-80% of the world's supply of surgical equipment but gets only 2% of the value because the branding companies take most of the value....it's true of most branded products from iPhone to Nike where the manufacturer gets a tiny portion of the value and the brand gets most of it. Is India really cheaper than the US? The Penn Effect is that prices of goods and services in developed countries (DCs) are, after using market exchange rates, substantially higher than those in less-developed countries (LDCs). The World Bank in 2015 estimated that prices are more than three times higher in the US than in India. This price differential is huge. This raises some interesting questions. Why aren’t very many tourists from the US attracted to India, if the prices are very low in India? Also, the price differential can be attractive to migrants who had initially shifted from India. In their retirement years, the migrants could return home but this hardly happens. Prices in the US are, as mentioned earlier, more than three times the prices in India. Let us consider this number in perspective. Pension funds in the US are, as discussed by Richard A. Marin, still going through a near-crisis as they have large unfunded liabilities. The size is still debated. If the shortfall is a quarter of the liabilities, then on one hand, a shortfall of 25% is viewed as a near-crisis. On the other hand, there is an opportunity to get 200% more by shifting to India! But we do not see this behaviour. there is often a risk in purchases. For example, medical charges can be relatively low in India but there is a question mark about the competence of a medical practitioner (and even about the arrangements in many hospitals). So, the risk-adjusted price can be higher than the observed price. quality is low in India. This is well known but not adequately appreciated. For example, while the cost of higher education in India is low, the quality too is typically quite low. So, the quality-adjusted price of education can be high in India. It is true that the use of market exchange rates can underestimate the gross domestic product of a country like India relative to that of a DC. So many economists advocate the use of exchange rate based on PPP. However, this can overestimate the GDP in India. So, it may help to consider adjusted-PPP to get the correct picture. In August, at least 386 children were reported to have died at a public hospital in the north Indian city of Gorakhpur in Uttar Pradesh. This sudden rise in fatalities at the Baba Raghav Das (BRD) Hospital placed India's healthcare system under scrutiny. Authorities attributed the increase to a seasonal encephalitis outbreak, but others have placed the blame on corruption within India's public healthcare system. According to the United Nations, in India, about 48 out of every 1,000 newborns die before reaching the age of five. It is one of the highest under-five child mortality rates in South Asia (behind Afghanistan at 91 and Pakistan at 81). In terms of numbers, India has the largest share of global under-five deaths at 1.3 million annually. About five percent of the Indian government's annual expenditure goes towards healthcare. According to the World Health Organization (WHO), most of the healthcare expenditure in India - which averages $75 per capita - comes from the private spending of households. The standards of India's public healthcare system contrast starkly with its private counterpart, which generates billions of dollars annually from medical tourism. For local Indians, the cost of private healthcare is about four times greater than the country's public healthcare. About 72 percent of residents of rural areas and 79 percent of residents of urban areas use private healthcare services. Currently, India gets 70-80% of its medicines and medical devices supplies, including raw material for pharmaceuticals (Active Pharmaceutical Ingredient) from China. This poses a major risk of severe drug shortage if India's diplomatic relations with China worsen. In fact, in 2014, National Security Adviser Ajit Doval had also warned the government about India's over-dependence on China for API and how the tension between the two countries can cause a crisis in the public health ..
Youths would later tell the police that the couple, both 24, had offended them by ignoring their greetings and kissing in front of them. Not so, Ms. Droz told The Times of India. They were trying to force her to take selfies with them, Mr. Clerc added. Eventually, they began beating the couple with sticks and rocks. By the time a crowd had gathered and the youths had run away, he had a fractured skull and possibly permanent hearing damage and she had a fractured left arm. “The blood was flowing,” said Ram Kishor, a police constable in the area. The assault late last month made headlines for several days in India. It was a fresh setback for tourism in this part of the country, which is home to some of the world’s most famous monuments but finds its status threatened by disputes about its Muslim heritage, amid reports of declining visitor numbers and of harassment of tourists. Stops at Fatehpur Sikri and in the nearby city of Agra to see the Taj Mahal, all of which are in Uttar Pradesh State, are at the top of many itineraries for tourists in India. Built in the 17th century by the Muslim emperor Shah Jahan as a tomb for his wife, Mumtaz Mahal, the Taj Mahal attracts millions of visitors every year. Tour operators call it India’s monument to eternal love. But Hindu nationalists, some of them aligned with the governing Bharatiya Janata Party, have taken aim at the Taj Mahal and its ties to a Muslim ruler. But Mr. Adityanath seems to be softening his stance, at least in public. When he visited Agra in late October, he called the Taj Mahal a “unique gem.” A tourism brochure published by the state government that initially omitted the Taj Mahal has been updated to include it. Tour guides said the controversy had hurt their business. On a recent day, a throng of tourists formed a line at the mouth of the Taj Mahal complex, pressing their bodies forward. Among them was Vital Labonte, 66, a French Canadian visitor in hiking boots, who said the occasional jostle or appeal for money did not bother him. Viktoria Simeoni, 23, an Austrian visitor who had booked a trip to India on a whim, said she sometimes felt unsafe when men stared at her or asked for pictures, a request often made to foreign tourists in India. The police found it necessary to crack down. In the days after the attack, they arrested over 50 people they accused of being touts with reputations for hounding tourists. In Fatehpur Sikri, officials emphasized that the severity of the attack against the Swiss couple was rare. The crime that tourists report most often is theft. “Taking a serious note of the matter, the Uttar Pradesh government acted promptly and suspended CMO Rajendra Prasad,” Singh said. He said incharge of the community health centre (CHC) at Nawabganj has also been removed. A report has been sought by the state health department regarding the entire episode. Earlier, the Chief Medical Officer said the acting district magistrate has ordered an inquiry into the matter and the organisation entrusted with the task could be blacklisted if found guilty. Meanwhile, some relatives of the patients complained that they were not provided with any beds after the procedure, and that they were made to lie down on floors despite extreme cold weather conditions. Uttar Pradesh has attracted bad press for a series of ‘medical disasters’ in the recent past, with the death of more than 60 children, mostly infants, at a government hospital in Gorakhpur being the latest case in point. A hospital in Farukhabad recorded 49 deaths — 30 in neo-natal ICU and 19 during delivery — between July 20 and August 21 this year, reportedly due to a lack of oxygen supply. LAHORE: At a three-day international conference on neurosurgery, Prof Dr Khalid Mahmud in the presence of international delegates, professors of Punjab Institute of Neurosciences and Lahore General Hospital Unit 2 gave live training of endoscopy operations. All the participants were delighted with the professional capabilities and expertise of Dr Khalid, who also presented his research papers and enlightened the audience with some of his career’s most complicated cases. He said that Pakistani doctors in the past had to go abroad for training, but now the experienced doctors from Pakistan were sharing their experiences with those in other countries. Dr Khalid said that Pakistan was ahead of the developed countries in neurosurgery, especially in endoscopy. He called upon the young doctors to opt for modern techniques and provide the best possible medical facilities to the patients. It is pertinent to mention here that apart from Pakistani doctors, the Neuro Surgeons Conference was attended by those from the US, KSA, Korea, Nepal, Russia, Italy, and the Czech Republic, who also shared their experiences. Surgical anatomy, brain path and sinonasal also came under discussion during the Skype sessions that were held to demonstrate endoscopy tumour biopsy and a live surgery was also undertaken. Dr Khalid claimed that brain tumours were being removed in the Punjab Institute of Neurosciences of the Lahore General Hospital without opening the head, and that too free of cost for the poor. He told that the loss of blood in the process was minimal and the patient has to minimum time at the hospital. He said that state-of-the-art facilities were available in the Punjab Institute of Neurosciences where complicated operations were being undertaken in large numbers. A prominent UAE-based MBF Group has announced to establish an integrated medical city that will also feature a first-ever medical mall of the country in Islamabad. The agreement of MBF with Ibchez Housing and Nixon, according to the report, will include the construction of a hospital that will provide medical services at international standards. The founder and owner of MBF Group Shaikh Mohammad Bin Faisal Al Qasimi ,in an interview with the Gulf news said the project will include a 400-bed university hospital that will offer the most advanced levels of healthcare services. The medical city will also feature the country’s first medical mall, therapeutic and recreational areas, a regional cardiology centre, and an orthopedic centre, he added. He noted that the city will include a nursing college and is expected to serve some one million patients and clients on a monthly basis. There is a need for such advanced hospitals to serve Pakistan’s growing population, he stressed. Shaikh Mohammad pointed out that the investment provided for the medical city has reached US$970 million (Dh3.52 billion), while noting that its land has been purchased, as well as the desire of all parties to complete the project on time, in a bid to answer the growing demand for medical services in Islamabad and provide specialist health services that are in short supply. He informed that the group will manage the city’s 1,000 medical, technical and administrative staff, who will all be Pakistanis, and is responsible for providing medical equipment and beds. Four of India’s large publicly traded hospital chains — ApolloNSE 4.37 %, Narayan Health, Fortis and Max IndiaNSE -1.34 % — have cumulatively lost `6,300 crore in market cap in the last two years, an analysis by ET Intelligence Group showed. A report by rating agency ICRA in July revealed that profitability of hospitals have touched a multi-year low. “The health of the hospital sector has been deteriorating since early CY2017 due to several factors that have adversely affected its profi ..
#Indian woman undergoes successful weight loss #surgery in #Pakistan. Sources told media that Maali Saasan had come to Pakistan after a failed attempt in #Mumbai, #India. ISLAMABAD: A Pakistani doctor has done a successful weight loss Bariatric surgery on 37-year old Maali Saasan, an Indian citizen in Pakistan. Sources told media that Maali Saasan had come to Pakistan after a failed attempt in Mumbai, India. She said that she had lost only 15 kg in her first surgery whereas Dr Maaz has removed more fat from her body as she had 150 kg weight which came down to 80kg. Dr Maaz has set a remarkable example which is a good initiative to strengthen the image of Pakistan across the world, doctors said. Forced Marriages in South Asia: Myth or Reality? Pakistan ISI: The Bogeyman of Afghanistan? Iran-Pakistan Ties: Friends or Foes?